Located in the southwest corner of Cedar Hammock, Terraces in Naples, Florida is among the favorite condominium communities for golfing enthusiasts. And with one of the region’s most highly-regarded golf courses on their doorstep, it’s not difficult to understand why. Terrace is a non–gated community within the greater Cedar Hammock gated sub-division, sited along the eastern side of Cedar Hammock Circle, just off Cedar Hammock Boulevard, the development’s main thoroughfare. But with each building backing onto placid lakes and looking over lush fairways and nature preserves, the view from a Terrace condo is excellent. 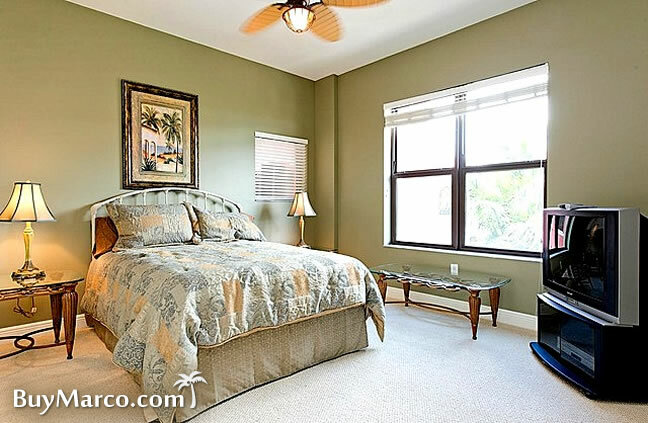 Brookside is also a 2-bedroom unit, covering a total area of 1,362 sq ft. The total living space is slightly larger than the Ashbury at 1,232 sq ft, with a large living space and a rear lanai, and a designated covered carport. The largest unit is Colonade, also with 2 bedrooms but covering a total area of 1,544.sq ft. Its living area is a spacious 1,408 sq ft, with a study, a lanai and an entry foyer available. A designated covered carport is also available outside. Since Cedar Hammock is a Bundled Golf Community, the cost of course membership is included in the purchase price of each unit. This means that residents of Terrace has automatic membership of the Jed Azinger-Gordon Lewis designed course, as well as the amenities at the extensive 25,000 sq ft Cedar Hammock Clubhouse, including golf and tennis pro-shops, a swimming pool, a state-of-the-art fitness center, and fine and casual dining. Residents at Terrace at Cedar Hammock also have easy access to the city of Naples FL, and are only 6 miles east of the shopping and restaurants at 5th Avenue in the heart of Olde Naples. The white sands of Naples’ own selection of Gulf of Mexico strands are just 10 minutes’ drive west.